not only one company.. it’s the company for Gulet charters! Smaller than a brig, two beamed yachts carries 8-15 tons. 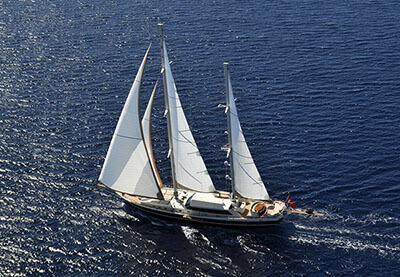 Gulet yachts are hand made by the local and skilled carpenters. For the skeletons of these yachts pine, oak, mahogany and teak wood are used. The history can be tracked down to the ancient times of Karia First Gulet ”Aegean Rose” was built in 1958 in Gulluk Gulf by Ziya Guvendiren and his atelier. Gulets are strong and longlasting, by their esthetic qualities it became internationally trendy. These boats are built in a traditional way, used for touristic purposes. Classic Bodrum Gulets are made of stockpiled woods, recently laminated wood is being used and it can also be built by steel. These Classic Boats with a wide deck, front deck with sun awn, with its large and wide cabins is said to be very convenient as a Charter boat. 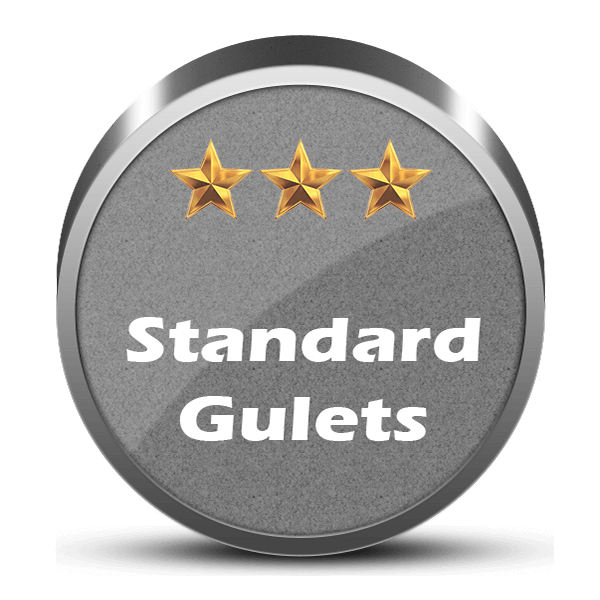 Nowadays Gulets forms, equipments, decorations are modernized, re-designed, and has many classes from three star to seven stars. 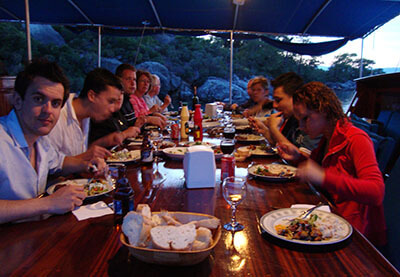 If you like to know more about Gulet Charters from Turkey, please get in contact with us. 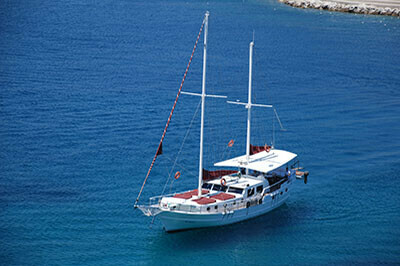 Gulet Mia is available for private charters out of Croatia, Montenegro, Greece and Italy. Excellent booking arrangements, organised perfectly. Beautiful gulet, comfortable, roomy cabins, the Captain,Mehmet and Sammy the chef, were a really warm and welcoming team. Lovely food with Sammy's amazing salads. The Captain took us to one stunning bay, after another. We all had a really fabulous, very chilled out holiday. From start to finish. Thank you. Hope my mail finds you well and that you are having a successful summer in Turkey. 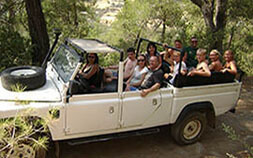 We just wanted to write and say what an amazing stay we had on the Aliaga 1. 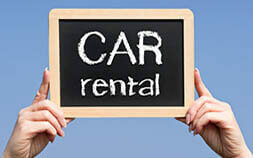 I cannot thank you enough for recommending her and the most amazing crew who own and manage her. Ali and his dad together with their Chef and Hakan made our holiday – nothing was a problem – they accommodated every request with a smile and it was very sad for us to leave a week later – we felt like we had made friends forever. Their professionalism in every detail is totally valued and I can recommend them to any of your clients. I really appreciate you contacting me telephonically and giving me the best advise ever. If you look on other providers you will find a huge amount of Gulets on the pages. The reason we don’t put every Gulet here is simple : Quality of the boat and the service that the crew provides is more importend to us then the quantity of Gulets we can show on our webpage. Therefore as one of the first companies we invented the Star Class Category system. 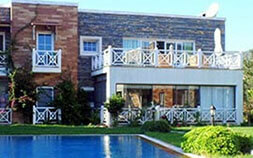 That will help you to find easily the Gulet that fits into your planned budget. 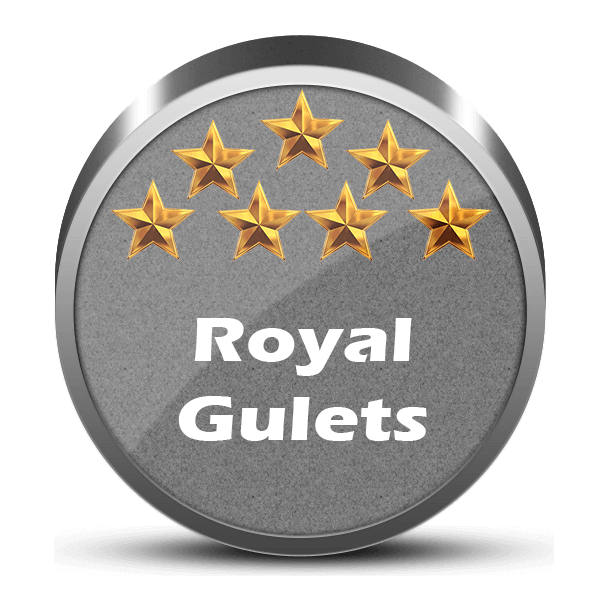 Gulet Charters from your Expert Team. This option of the popular “Blue Cruise” is ideal for passengers who are alone or for couples that just want to join a shared Gulet cruise. The basic is simple, you rent a cabin on one of the available charters and you share the rest of the boat with other people. Of course you have your own bathroom in your cabin that is not for share. So you book your cabin and get to see the beauty of the nature, water, small villages and more. If you seeking for luxury and speed, well this is the right option for you. 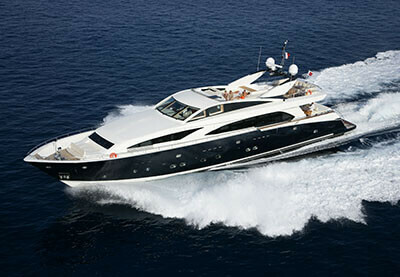 Unlike the Gulets, Motoryachts can reach a speed up to 30 knots/hour. On motoryachts the fuel consuption is extra charged. Depending on horsepowers and cruise speed you have to expect around 250lt/per hr up to 1.500 lt/per hrs. The most Yachts offers the customers an unforgetable experience of luxury with high standard food and the crew will take good care of you. 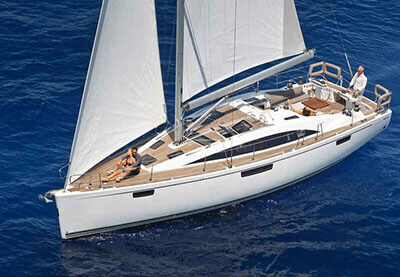 If you are a skipper and have a proper license and love to sail, well then this is your option you should stick to. 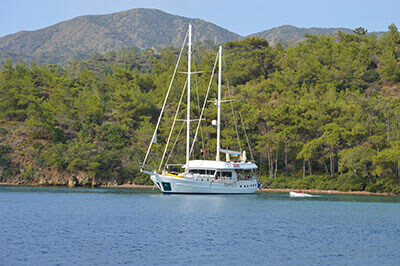 Sailing boats can be rent on weekly basis and are available from Bodrum, Marmaris, Göcek, Fethiye and other detsinations. Please keep in mind that on sailingyachts you cook for yourself and do all the stuff that on Gulets the crew does. Sailing boats can be rent with a captain too..